One peek into a small part of the sky, one giant leap back in time. NASA's Hubble Space Telescope provided one of the deepest, most detailed visible views of the universe. Representing a narrow "keyhole" view stretching to the visible horizon of the universe, the Hubble Deep Field image covers a speck of the sky only about the width of a dime 75 feet away. The field is a very small sample of the heavens but it is considered representative of the typical distribution of galaxies in space. 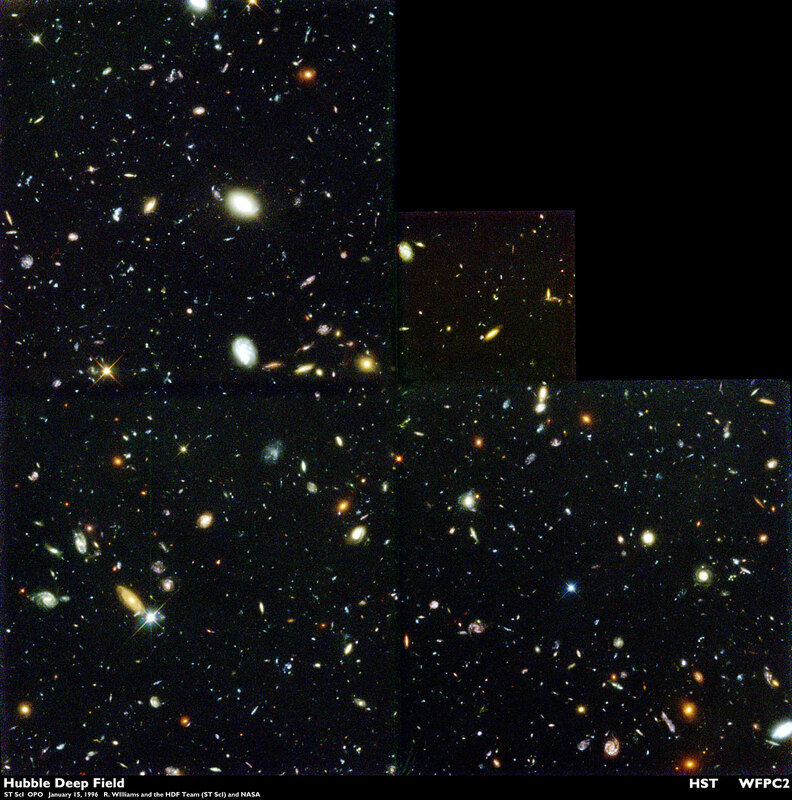 In this small field, Hubble uncovered a bewildering assortment of at least 1,500 galaxies at various stages of evolution.